And a black baby Jesus. In a series of simple, evocative images, W. Nikola-Lisa takes readers on a journey toward the Nativity, with a black baby Jesus as its centerpiece. Synthia Saint James's vibrant colorblock paintings capture the mystery and anticipation of this journey and of the birth of a newborn king. W. Nikola-Lisa is the author of numerous award-winning children's books. He is also a professor of education at National-Louis University in Evanston, Illinois. Nikola-Lisa lives in Chicago and you can visit him at nikolabooks.com. Synthia Saint James is a corporate fine artist, art licensor, architectural designer, speaker, author, songwriter, and illustrator of thirteen picture books. She lives in California, and can be visited at synthiasaintjames.com. 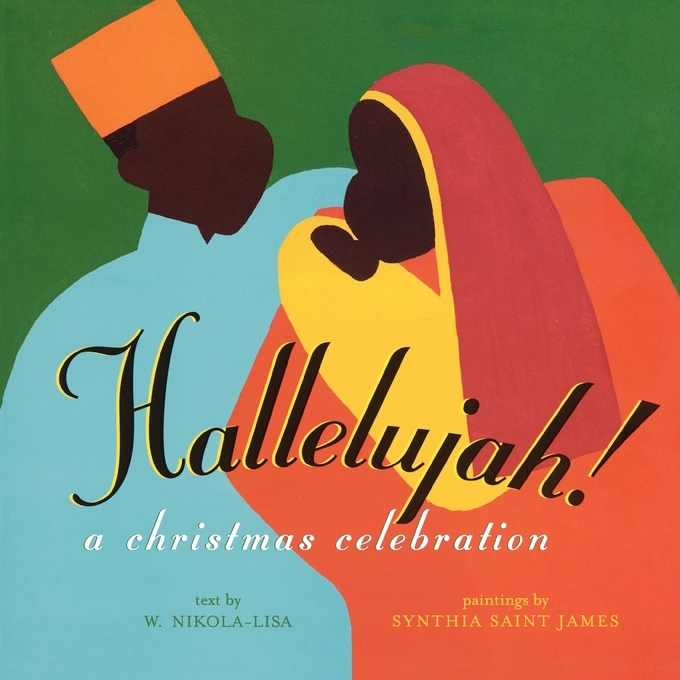 Book Cover Image (jpg): Hallelujah!